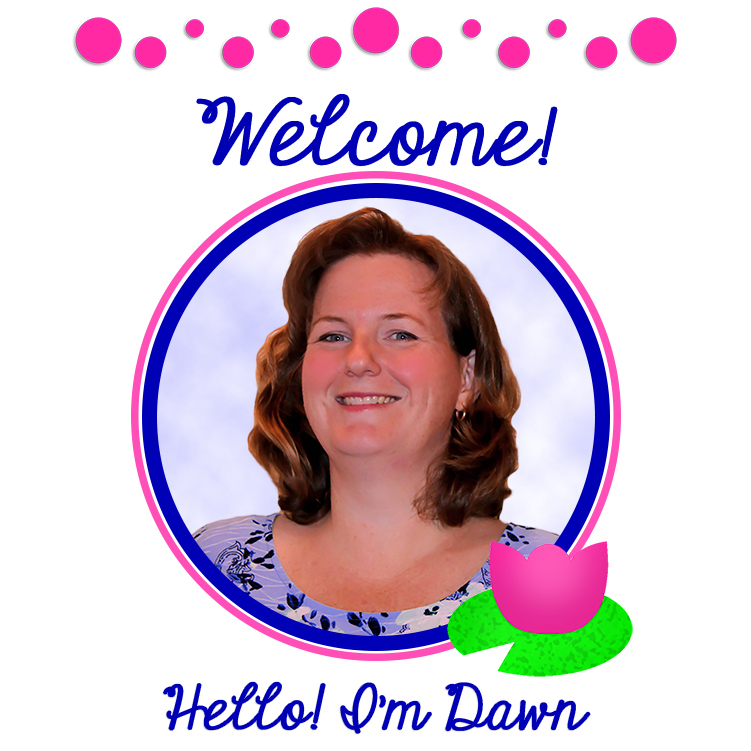 In order for students to succeed at higher-level math, they must first develop a strong foundation of understanding. Mastering basic math facts is a critical component of this. 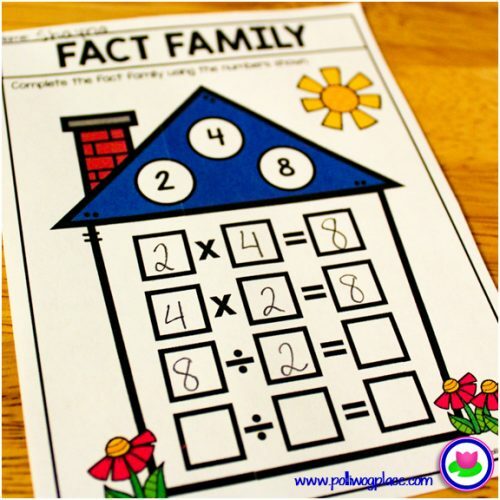 One way to help students understand math facts is by showing the relationships between numbers using a fact family. 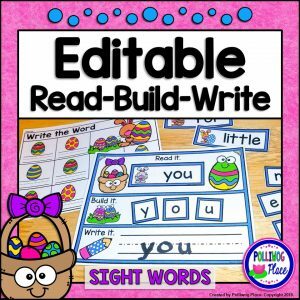 Take a look at this fun activity that will engage your students as they practice creating fact families. 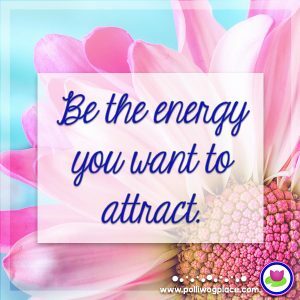 Also, be sure to look for the FREEBIE at the bottom of this post. 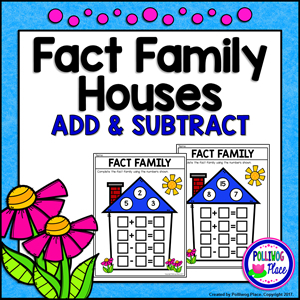 Just as families of people live inside houses, math fact families can be grouped together into houses as well. 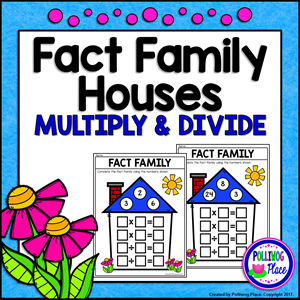 I have created two sets of fact family houses to help students practice this concept. There is one set for addition and subtraction facts and another set for multiplication and division facts. 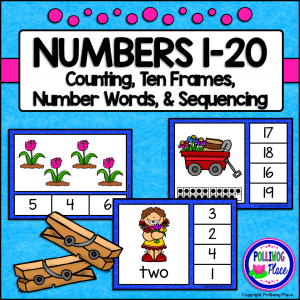 So many students are visual learners, and this model with a house helps reinforce the idea that these numbers are related. The houses are bright and colorful to grab students’ attention. 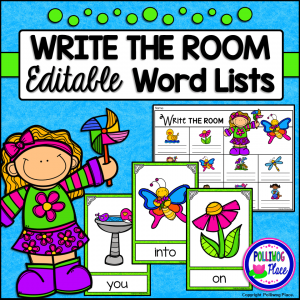 Laminate the pages or place them inside sheet protects for a write and wipe activity that can be used with a dry erase marker. 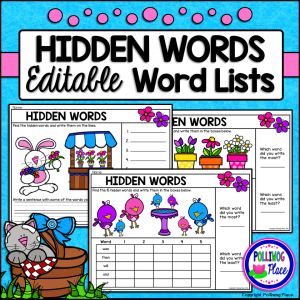 Choose to print in color or save ink with black and white pages. There is no prep needed. Simply print and go. 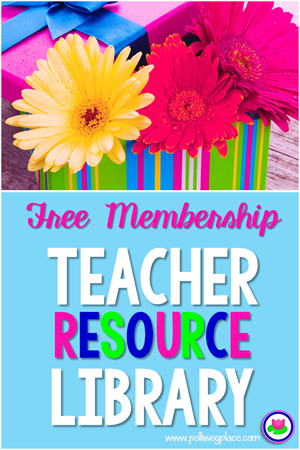 Does this sound like the kind of fun activity your students would like? 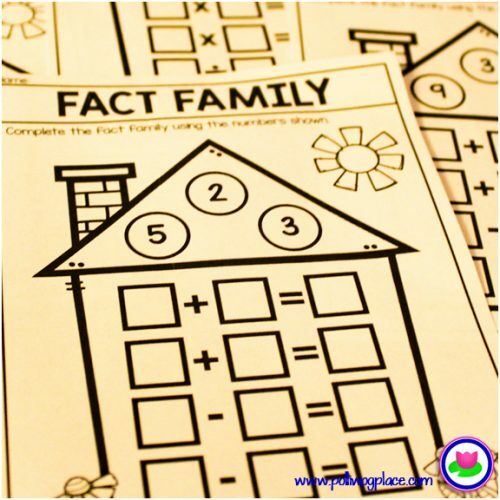 Give these Fact Family Houses a try in your classroom. 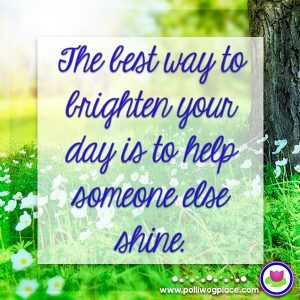 Click on the image below to download your FREE sample pack. 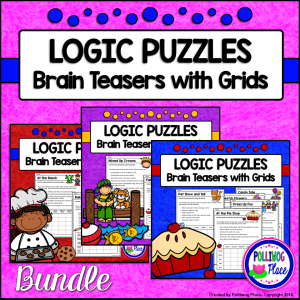 You will receive pages for practicing addition and subtraction as well as multiplication and division. 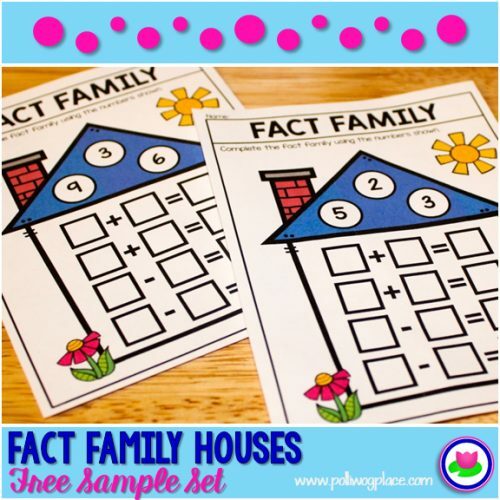 Visit the Polliwog Place store to pick up the complete Fact Family Houses sets. 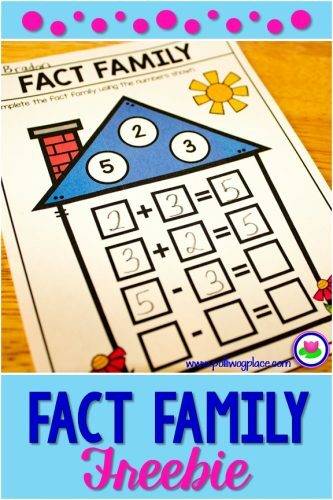 Each set contains 36 different fact families.